Here at Elite, we think Surf Clubs are life savers – and not just in the ocean! As well as keeping our beaches safe, Surf Clubs on the Gold Coast make a great spot for an evening drink or a delicious counter meal. There are plenty of them dotted along the coast and are great spots for a night out – in a handy, kid-friendly environment. Plus, if you become a member for a small fee, you’ll get great discounts! Add to this the welcoming atmosphere and fantastic views and you’ve got yourself a great spot for dinner! You’ll find the Surf Clubs every few kilometers along the beach, but the Gold Coast Bulletin also has a handy guide to the best Surf Club meals. 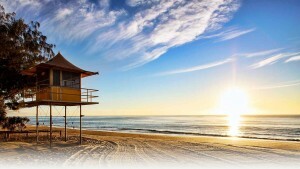 I’ve taken a quick poll of the staff here at Elite and Kurrawa Surf Club at Broadbeach is looking to be a strong favourite – and conveniently close to many of our holiday homes!